If President Donald Trump’s announcement on Jerusalem had a silver lining, for me it is this: many progressive, pro-Israel American Jews saw Trump’s gambit as the narrowly self-serving, reckless move it was, and rejected it. For this reason, I read with great interest the recent Haaretz op-ed by Rabbi Eric Yoffie, a former president of the Union for Reform Judaism (U.S. Liberal Jews Read It Wrong. Trump’s Call on Jerusalem Was Good for the Peace Camp). An ardent Trump critic, Yoffie’s "default position is to resist every word on foreign affairs that comes out of [Trump’s] mouth." So what brought Yoffie to conclude that President Trump’s new Jerusalem policy is “generally responsible”? First, at a visceral level, Yoffie finds satisfaction in official American recognition of what he knows to be true: Jerusalem is and will remain Israel’s capital. I empathize with this deeply human need for recognition, particularly as some (including, at times, Palestinian officials) have failed to acknowledge Jewish historical and religious connection to Jerusalem. Denial of recognition is painful, as it also must be when Muslim ties to Jerusalem are minimized. One-sided recognition of claims to Jerusalem, which Trump gave Israel, is a recipe for continuing conflict. Palestinians too yearn for recognition of their national aspirations, for a Palestinian state with its capital in East Jerusalem, and for an end to the occupation. Trump’s Jerusalem announcement has led predictably to renewed violence, moving the belligerents further from peace. In rejecting Trump’s decision, Peace Now (the Israeli partner to my Washington-based organization) contends that what Israel needs now, more than recognition, is a partner in the White House to help it achieve peace. By recognizing Jerusalem as Israel’s capital and initiating the U.S. embassy transfer before the Kushner-Greenblatt peace plan is released, Trump has likely sabotaged progress toward peace during his presidency. This is too high a price to pay for the visceral gratification of recognition. Second, Yoffie takes his cue from leaders of Israel’s center and center-left parties who joined prevailing sentiment among Jewish Israelis in welcoming Trump’s announcement. Years of uninterrupted right-wing rule have emblazoned on many Israelis’ minds the slogan of Jerusalem as Israel’s eternal and undivided capital, such that they accept it reflexively as truth. Many Israelis are happy to pocket Trump’s gift of recognition without giving anything in return. American Jews are in a position to remind Jewish Israelis of the damage caused by eschewing compromise over Jerusalem. Israeli politicians who support a two-state solution are not infallible. That is true of all politicians out to win votes. The new leader of the center-left Zionist Union, Avi Gabbay, has veered rightward to woo "soft right" Likud supporters. He joined in celebrating 50 years of settlement in the Jordan Valley by proclaiming settlements "the beautiful and devoted face of Zionism." I won’t take my cues from him when it comes to settlements, nor will I accept his position that "a united Jerusalem is even more important than peace." Finally, Yoffie concludes, after re-reading Trump’s speech, it was "not wholly adequate...but nonetheless moderate, reasonable, and generally fair." It was "far better" than Yoffie had "feared and expected" because it did not preclude a negotiated outcome in which a Palestinian state would have its capital in some part of Jerusalem. I won’t give Trump a pass because he did not choose the most extreme option possible: recognizing undivided Jerusalem as Israel’s capital and moving the U.S. embassy to Jerusalem immediately. As I listened to Trump, I heard a politician pandering to his supporters and bragging about delivering on a campaign promise – rather than offering any serious argument for how his policy will serve the cause of peace, or U.S. interests for that matter. Palestinians and many Arabs and Muslims heard an imperialist American, granting Israelis something that was not America’s to give. Lebanon’s An-Nahar compared Trump’s announcement to a latter-day Balfour Declaration for Jerusalem; this was echoed in placards throughout the West Bank and Gaza. Trump pushed Palestinians to conclude what they may have long suspected: the U.S. is not an honest broker, and it will not use its leverage to gain Israeli concessions. Instead of following Trump’s speech with efforts to mitigate the damage to U.S.-Palestinian relations, the administration has indicated that its recognition of Israeli Jerusalem extends into the Eastern portion conquered by Israel in 1967. Trump’s controversial Ambassador to Israel David Friedman lit a Chanukah candle at the Western Wall and announced his excitement "to be standing...in Jerusalem, the holy city and the capital of the State of Israel." Shortly after, an administration official said the Trump administration "cannot envision any situation under which the Western Wall would not be part of Israel." A likely official visit by Vice President Mike Pence’s to the Wall will underscore this point. With each passing day, it becomes clearer that when America First meets the Palestinian-Israeli conflict, the prospects for peace decline and the moral standing of the United States goes with it. 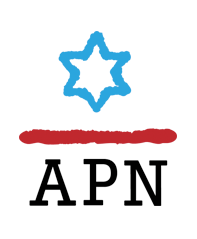 Progressive American Jews have a unique and crucial role to play in opposing President Trump’s policies on Jerusalem. Rabbi Yoffie, please join us. This article first appeared on December 25, 2017 in Haaretz.